There have been a lot of great new Lost In Space models, books, and other merchandise released lately. Christmas is coming soon. So, I have compiled a Lost In Space Gift Guide for those of you shopping for Lost In Space fans or for fans who are wondering what to put on their Christmas list this year. We already have many of these items ourselves. Without further ado, here are my picks for the Lost In Space Gift Guide. 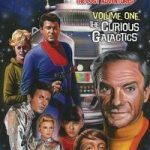 The Lost In Space Complete Series Blu-ray. This is a must have for any Lost In Space fan. It's jam packed with extras like The Epilogue (Bill Mumy's script to give the show a proper ending), episode commentary, home movies, and more. Not to mention, the amazing crystal clarity of the HD transfers. If you love the show or know someone who does, this is the ultimate gift, which is why it tops my Lost In Space Gift Guide. Lost (and Found) In Space. This book was written and compiled by Bill Mumy and Angela Cartwright. It features rare and behind the scenes photos and stories about their life on the show and their beloved cast mates. Not every LIS fan has the opportunity to meet the cast and this is quite possibly the next best thing! 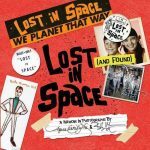 Lost In Space: The Lost Adventures Vol. 1. Along with the first two items on the list, I own this (and all the comics issues) as well. It's a hardback version of the new comics, graphic novel style. It includes extras as well, as you can read in my review. Diamond Select B-9 Electronic Sounds/Golden Boy/Anti-Matter Electronic Sounds Robot. I've listed this as one item, but it's really 3. 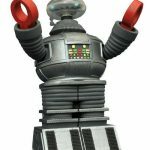 Diamond Select has put out three variations of our beloved B-9 Robot. One is the original with several of his famous phrases. There's "Golden Boy" from the "Cave of the Wizards" episode. 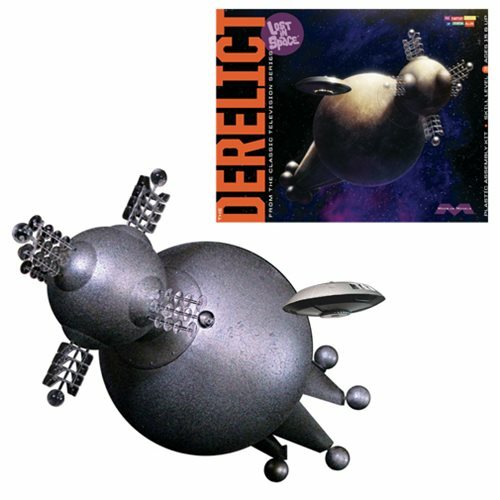 And one is the Anti-Matter Robot from "The Anti-Matter Man". Golden Boy and Anti-Matter Robot both feature phrases from their respective episodes. 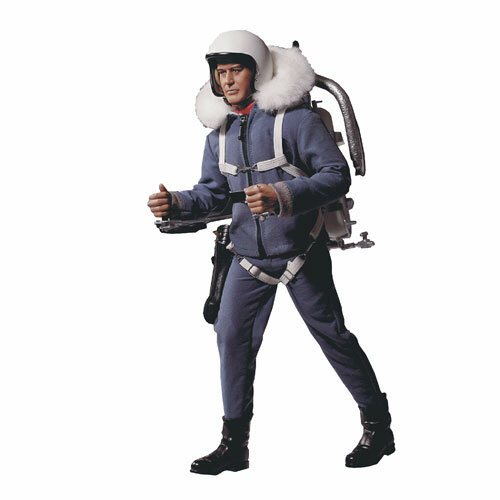 John Robinson Action Figure With Jet Pack. This is one of the most realistic looking Lost In Space action figures ever made. It looks just like Guy Williams. He's wearing a first season uniform with parka and comes with a Jet Pack, laser pistol, and other accessories. 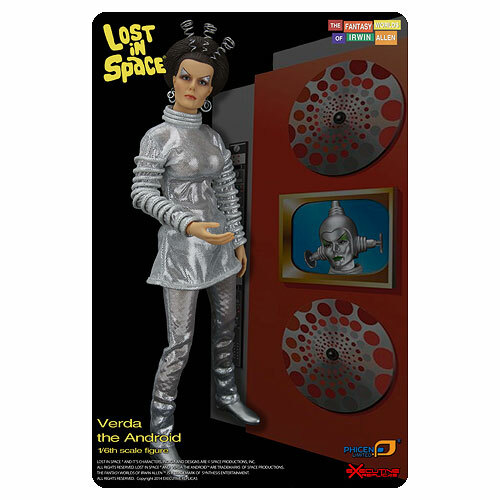 Verda Action Figure. Everyone's favorite female android is back. Well, B-9 might not be all that fond of her. She took his pointer, after all. This incredible likeness of Verda, played by Dee Hartford, comes with a human head and hands as well as several other accessories. The Derelict Model.This model of the Derelict comes with not just one, but three, Jupiter 2. The model can be built with bay doors open or closed. Judge Iko and his bubble creature buddies not included. 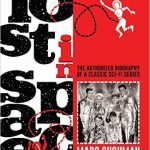 Irwin Allen's Lost In Space: The Authorized Biography of a Classic Sci-Fi Series, Volume One by Marc Cushman. This book is a comprehensive look at the first season episodes, behind the scenes with tons of trivia, interviews from cast and crew, and more. 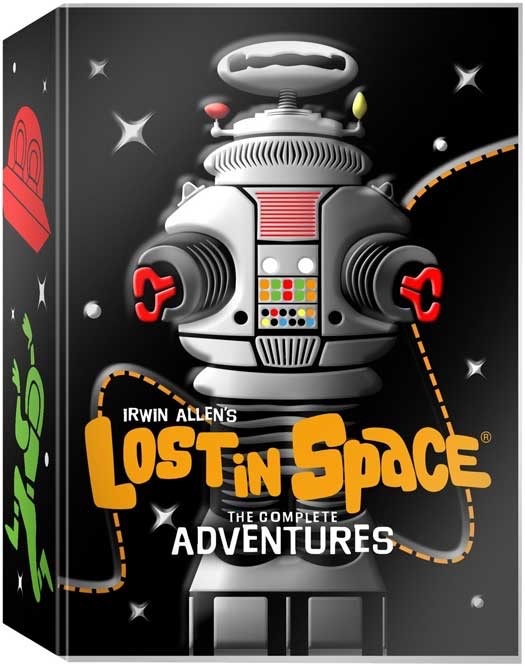 For avid fans that love Lost In Space trivia, this is a must have! 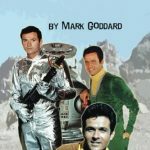 Three Years Lost In Space by Mark Goddard. Behind the scenes stories and thoughts on the episodes from Major West himself. Oh, and Mark Goddard weighs in too. 🙂 This is a fun read, especially the fictional thoughts from Major West about the events in each episode. Robot Vinimate. 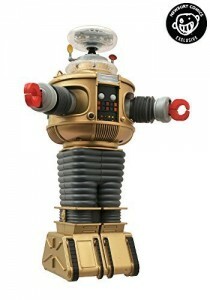 Rounding out our top ten in the Lost In Space Gift Guide is another Robot. What can I say, he's popular. The Robot Vinimate is a little vinyl figure of our beloved B-9, perfect for displaying on a desk, mantle, or anywhere. I hope you enjoyed my Lost In Space Gift Guide and that you find something for yourself or the Lost In Space fan in your life.